Experience the beauty of northern Door County shoreline waters when you book your outing with Capt. Jeff aboard Shell-Lin. 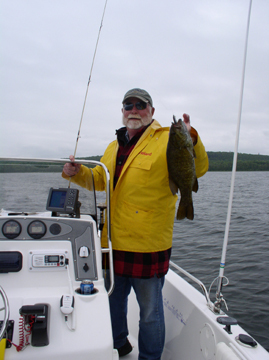 Whether fishing for bass, walleye, or salmon or touring scenic harbors, Peninsula Park, & adjoining islands, you plan the days events, hours on the water, & departure time. With combined fishing, swimming, & touring opportunities well create a personalized, on-the-water experience that your entire family will enjoy. Fish Tales Charters –fun, safe, affordable, & memorable.